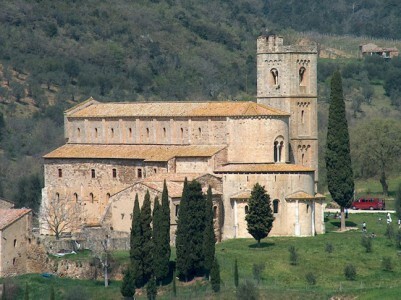 One of the most photogenic and atmospheric sights in Tuscany is the Abbey of Sant’Antimo near Montalcino. 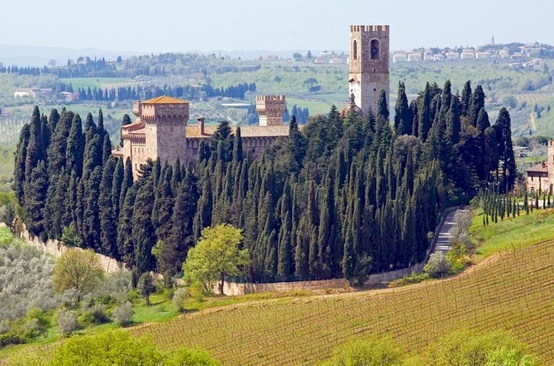 The abbey, abbazia in Italian, is located in a beautiful valley within easy reach of Montalcino in the Val d’Orcia. 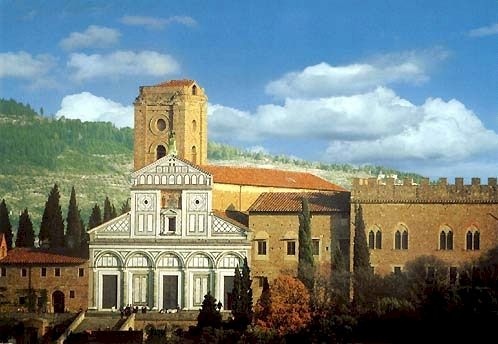 This is also one of the few churches in Tuscany at which you can regularly hear Gregorian chant, another being the Basilica of San Miniato al Monte. IMPORTANT UPDATE – the French monks will leave the Abbey in November 2015, and along with them will go the opportunity to experience Gregorian chant. Apart from its being a living monastic community, the Abbey is fascinating from an architectural point of view and rewards close attention, particularly to the carved capitals of the internal columns of the nave. The abbey is documented as being in existence in the year 814 and probably dates back to Longobard times or even earlier and was perhaps built on the site of a Roman villa. 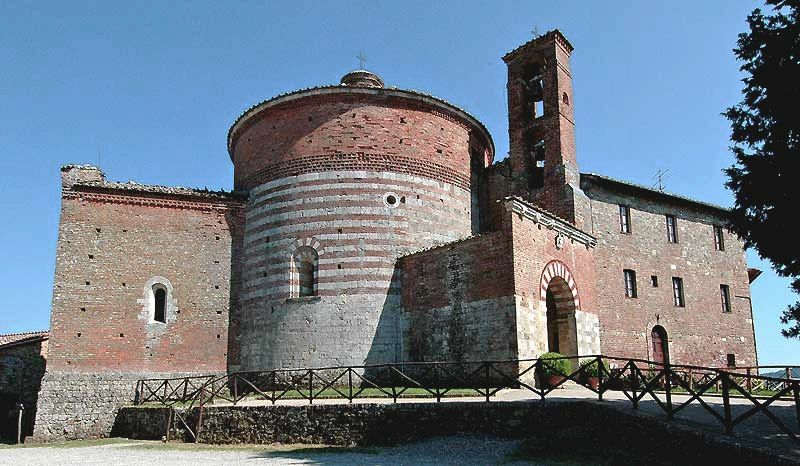 The present structure is romanesque with a strong suggestion of French influence in the basilical ground plan. If you’re planning a visit to the Val d’Orcia, especially, to Montalcino, on no account miss visiting this beautiful church. 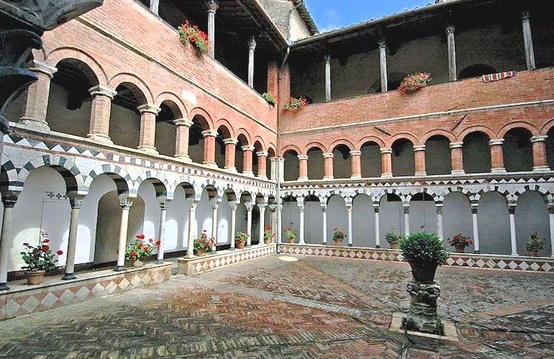 More about the Abbazia of Sant ‘Antimo.